Presently, doctors prescribe both of these drugs as short-term painkillers for patients who had surgery or been injured. In addition, people use them to treat chronic pain, chronic cough, pain due to cancer and even arthritis. Therefore, Oxycodone and hydrocodone are powerful narcotic drugs and one should not take it without a prescription. One can take these drugs alone or a combination of both drugs. For example, acetaminophen may have a component of oxycodone to make it a specific narcotic painkilling drug. This type of combination can calm a patient’s mood. Incidentally, they may also combine hydrocodone with antihistamines to create a syrup. It can control coughs as well as relieve the pain due to excessive coughing. Furthermore, they both inhibit pain signals going to the central nervous system. As a result, this prevents the nerves from sending signals of pain to the brain. Otherwise, the only difference that you will find between these two medicines is on their side effects. Where is Oxycodone and Hydrocodone Used? Usually, people use Oxycodone to treat moderate to severe level of pain. Additionally, People under this prescription may take it with the doctor’s instruction and discontinue it upon the doctor’s advice. Furthermore, one should not take it like the over-the-counter pain relievers. Patients also use Hydrocodone to treat moderate to severe level of pain. Similarly, doctors prescribe it to patients with chronic pain, injury problem or have undergone surgery. Accordingly, you should only take this medicine with the doctor’s advice because it could lead to one’s addiction. In addition, people taking Hydrocodone will more likely develop dependency than those taking Oxycodone because it is an abused opioid. Meanwhile, during the fall of 2014, studies have categorized these drugs with different drug schedules. 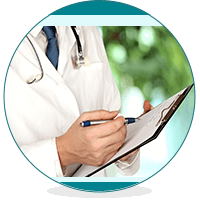 The drug schedule is the number they assign to a particular medicine, chemical or substance. This number shows the chances this substance will be abused as well as its acceptance for medical purposes. As a result, they classify both these medicines as schedule II drugs, because they have the possibility of abuse. Firstly, they may combine the drugs with other pain reliever medicines or chemicals. Pure Oxycodone has the brand name, Oxycontin. Additionally, this medicine is available in pill or tablet form and patients take it orally every 12 hours. These pills come in different doses, and patient‘s dose depends entirely on the level of pain felt. Second, pure Hydrocodone comes in oral tablet, and have extended release (controlled releases) every 12 hours. The popular brand name for the drug is Zohydro ER. Furthermore, because it releases slowly to the body over a long period, it is ideal in treating chronic pain. 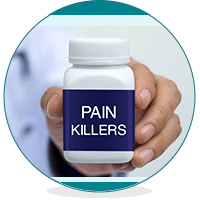 They are powerful painkillers and effective in treating pain. Additionally, they regard both medicines to treat pain equally. Consequently, patients taking these medicines have experienced pain relief of 30 to 60 minutes after intake. Incidentally, patients said that they had constipation while taking Hydrocodone and not with Oxycodone. One can get both of the drugs through their famous brand name or generic names. Of course, the generic ones are a lot cheaper. No doubt, before taking any of these medicines, consult first your doctor. In addition, there are some generic brands that differ in ratios of active and inactive components. For the FDA to consider the drug generic, it must contain the same amount of active ingredients. However, the regulations do not cover the inactive ingredients. In any case, if your doctor prescribe the brand name, it can be expensive. For example, you can reduce its cost by getting prescription coupons or through insurance. However, if you don’t know how to make it cheaper, ask your pharmacist. Incidentally, Hydrocodone will cause more constipation and stomach pain than Oxycodone. They are both powerful painkillers. Therefore, anyone wishing to take these medicines must consult first the doctor. In addition, they should report his or her medical history and other pre-existing health conditions and problems. If you have asthma or difficulty in breathing, you must avoid these pain medications. Patients who are constipated must not take Hydrocodone because it could worsen the problem. Individuals with liver or kidney disease must not also take these medications. While under these medications, do not drink alcohol because combining it could be dangerous. Furthermore, it can lead to excessive drowsiness or liver damage. Pregnant women must consult the doctor because they could pass on in their milk and eventually affect the baby. Misuse or abause of these medicines could lead to addiction, poisoning, overdose or death. In conclusion, both Oxycodone and Hydrocodone have the same effectiveness in treating acute and chronic pain. They also have the same side effects. Therefore, if you want to make sure they gave you the right medication, seek medical advice from your doctor. For example, your doctor may suggest Oxycodone first and see how it goes into your system. Consequently, from there they may recommend you change to Hydrocodone depending on your body’s initial reaction.